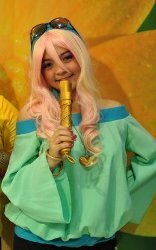 Loving sister, power cosplayer and young entrepreneur. Veronica Nicole “Knaix” Edmilao, also known by her cosplay stage name as Reiko Akatsuki, is a sweet, bubbly and charming young lady who made her mark forever on 2011’s Cosplay Tournament of Champion’s 2 (TorCH 2) as the Golden and Endless Witch, Beatrice from the anime Umineko No Naku Koro Ni. Let Knaix’s quick wit and charm bowl you over in this awesome interview. Asgard: When did your first interest in cosplay start? 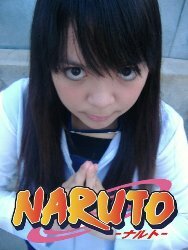 Knaix: I’ve already wanted to start cosplaying when I saw pictures of both Alodia and Jin back when I was in second year highschool (6 year ago). 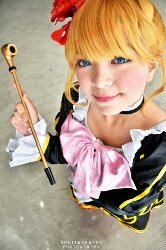 Then every now and then we visit Manila and hear of anime conventions where most of the time you see various cosplayers… and when I saw them I was amazed! I wanted to join in and give it a shot; the feeling of being around people with the same interests never ceases to amaze me. A: Do you still remember your first cosplay event? K: Yes, I do! Of course, it wasn’t the best for me though. 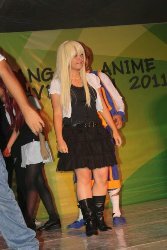 It was the first cosplay event held here in Cagayan De Oro. I think that was around October 31, 2009 that was held in SM City. A: How many cosplay events have you personally have been to since then? K: I don’t know. 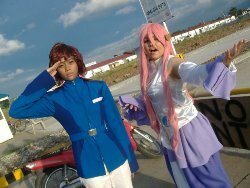 Let’s see, I think there were a lot already because whenever there’s a cosplay event here in Cagayan de Oro, I’m always there. A: Since you’ve been there at the birth of CDO’s cosplay events, would you consider yourself a cosplay veteran? K: No, I don’t. It’s because I don’t know everything yet. I mean, I still consider myself to be “in the process of learning” per se. A: Are there tips and tricks to cosplay costumes that you’ve learned over the years? K: Tips and tricks? I guess, for one, a cosplayer should first and foremost have enough cash to purchase or make the costume and props needed so budgeting is a BIG factor for all cosplayers. Also, cosplay does not have to be expensive. You can find cheaper alternatives for the cosplay you want. In fact, most of my cosplays have to be budgeted very well! You see the trick to cosplay is that there are some who think that the more expensive the costume is, then the better when it’s not necessarily true! A good thing that cosplay does is to enhance creativity and will open your mind into finding greater ways to save, at the same time find quality costumes with the same outlook as that of a PHP5000 ($119) costume. A: The sweetest thing I’ve ever heard about you from someone is that when you cosplay, you always make sure that your sisters are included. How did you get them interested in cosplay? K: Oh! My sisters are avid anime fans as well. They see me cosplay characters from the shows they watch and they’d support me all the way! And when they see me having fun, I guess they’d naturally want to join in. A: Does mom and dad approve of you girls cosplaying? K: That’s a whole different story. I can’t say that they disapprove it completely… It’s just that sometimes they think I can do better at other things other than cosplay, which I think is true also. There is a tendency for most cosplayers to neglect things from not only home chores to school work, but the interaction beteen family and other friends OUTSIDE that cosplay network which can destroy the purpose of cosplaying sometimes because, mind you, too much of anything… Is very bad. A: You own an online shop called “Kyuuto Shoppu”. Tell us about it. K: Kyuuto Shoppu is an online based shop that caters to the needs of otakus. It’s main clients are cosplayers, but is not limited to that alone. Besides the selling of wigs, props, and costumes, the shop also sells plushies, cute accessories, and others too! The shop is still growing and what makes Kyuuto unique is that we tend to those who cannot afford very expensive wigs for Kyuuto sells them at very affordable prices! A: Kyuuto is widely known for the surprise sales. Is it hard dealing with the multitude of queries you receive during those sales? K: It is actually, especially when there are demanding customers. But it’s not a problem, really. After all, it’s part of the job and I enjoy doing whatever I can to make sure the customer gets his/her inquiries and the product without any worries. A: Is there an advantage to owning a cosplay shop? K: Yes, there is. I won’t have to worry where or when I need my cosplay wigs! Mainly because I’m sure they’ll arrive here safely. A: So aside from cosplaying, what other otaku related activities do you do? K: I sing! I cover anime songs on youtube by the same name [Reino Akatsuki]. I also draw manga, but I rarely do that now. A: You have joined a lot of cosplay competitions already. What were these competitions about and did you win in some of them? K: The first competition was around 2009 at SM’s Halloween Cosplay Event. Then the following year’s mid-summer cosplay event at SM. Also there was the Women’s Cosplay event last year, then the Tournament of Champions where me and my partner won 1st runner up. A: What’s your secret to winning these competitions? K: Practice, practice, and more practice! A: Cosplay-wise, what achievement were you most proud of? K: I think I’m proud of the fact that my face “changes” for every character. Oh, and that I also got to achieve my dream cosplays. A: What advice would you share to beginners in cosplay compeitions? K: Practice, practice, practice! And don’t forget to be creative. Think outside the box, and make sure to create rapport with the audience. Basically that’s it. A: What’s your favorite anime of all time and why? K: Wow, that’s a tough one because I don’t limit my favorites to just one. Mirai Nikki, Hanasaku Iroha, and my ultimate fave Umineko no Naku Koro Ni is on the top of my list though.